Izamal is a small VILLAGE in the Mexican state of Yucatán, 65 km (about 40 miles) east of state capital Mérida. Izamal was continuously occupied throughout most of Mesoamerican chronology; in 2005, the city's estimated population was 15,000 people. Izamal is known in Yucatán as "The Yellow City" (most of its buildings are painted yellow) and "The City of Hills" (though most of the "hills" are probably the remains of ancient temple pyramids). 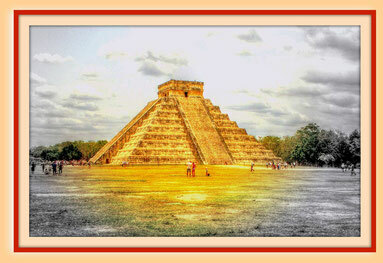 Izamal was an important archaeological site of the Pre-Columbian Maya civilization. It is probably the biggest city of the Northern Yucatec Plains, covering a minimal urban extension of 53 square kilometers. Its monumental buildings exceed 1,000,000 cubic meters of constructive volume and at least two raised causeways, known by their Mayan term sacbeob, connect it with other important centers, Ruins of Ake, located 29 kilometers to the west and, Kantunil, 18 kilometers to the south, evidencing the religious, political and economical power of this political unit over a vast territory, of more than 5000 square kilometers in extension. Izamal developed a particular constructive technique consisting in the use of megalithic carved blocks, with defined architectonical characteristics like rounded corners, projected mouldings and thatched roofs at superstructures, which also appeared in other important urban centers within its hitherland, such as Ake, Uci and Dzilam. The city was founded during the Late Formative Period (750-200 B.C.) and persited occupied until the Spanish Conquest. The most important constructive activity stage spans between Protoclassic (200 B.C. - 200 A.D) through Late Classic (600-800 A.D). It was partially abandoned with the rise of Chichen Itza in the Terminal Classic (800-1000 A.D.) until the end of the Precolumbian era, when Izamal was considered a site of pilgrimages in the region, rivaled only byChichen Itza. Its principal temples were sacred to the creator deity Itzamna and to the Sun God Kinich Ahau. Five huge Pre-Columbian structures are still easily visible at Izamal (and two from some distance away in all directions). The first is a great pyramid to the Maya Sun God, Kinich Kak Mo, with a base covering over 2 acres (8,000 m²) of ground and a volume of some 700,000 cubic meters. Atop this grand base is a pyramid of 10 levels. To the south-east lays another great temple, called Itzamatul and, placed at the south of what was a main plaza, another huge building, called Ppap Hol Chak, was partially destroyed with the construction of a Franciscan temple during the 16th Century. The South-west side of the plaza was limited by another pyramid, the Hun Pik Tok, and in the west was the temple known as Kabul, where a great stucco mask still existed on one side as recently as the 1840s, and a drawing of it by Frederick Catherwood was published by John Lloyd Stephens. All these large man-made mounds probably were built up over several centuries and originally supporting city palaces and temples. 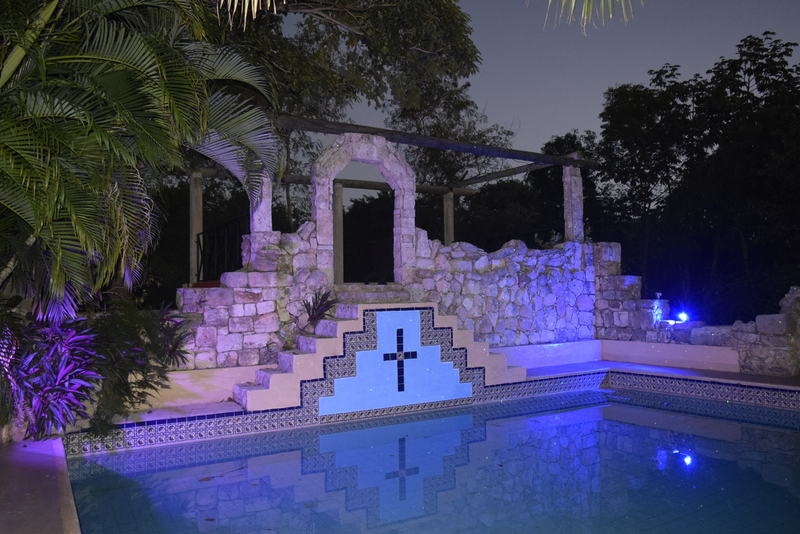 Other important residential buildings which have been restored and can be visited are Xtul (The Rabbit), Habuc and Chaltun Ha. After a more than a decade of recent archaeological work done by Mexican archaeologists at Izamal, over 163 archaeologically important structures have been venir'd here, and thousands of residential structures at surrounding communities have been located. Izamal was the first chair of the Bishops of Yucatán before they were moved to Mérida. The fourth Bishop of Yucatán, Diego de Landa lived here. The town of Izamal was first granted the status of city by the government of Yucatán on 4 December 1841. On 13 August 1923 it was demoted to town status. It was again officially ranked as a city on 1 December 1981. In 1975 the official in charge of land redistribution was repeatedly accused of political corruption; letters of complaint were sent from citizens of Izamal to Mérida and Mexico City with no response. The official was found stoned to death under a large pile of rocks in the town's main square. A Mexican Army unit occupied the town for some days after the incident, but investigators failed to find anyone in town who knew anything about what happened. Izamal remains a place of pilgrimage within Yucatán, now for the veneration of Roman Catholic saints. Several saints statues at Izamal are said to perform miracles. An early colonial era statue of the Virgin of the Immaculate Conception ("Our Lady of Izamal") is particularly venerated, and is the city's patron saint. The Maya language is still heard at least as much as Spanish in Izamal. It is the first language in the homes of the majority of the people. Most signs are in both languages. 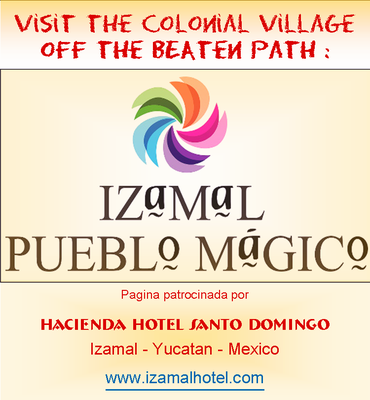 Major Fiestas are held in Izamal on April 3, May 3, August 15, and December 8. Izamal is the home of a distillery which produces an eponymous mezcal from the hearts of the locally grown agave plants. Izamal was named a "Pueblo Mágico" in 2002.